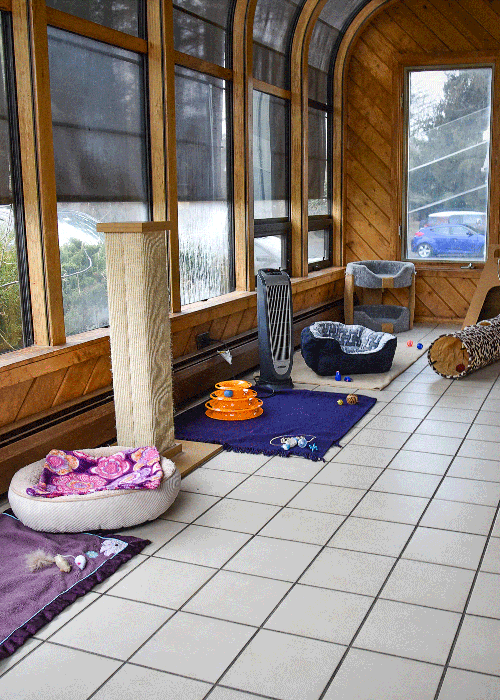 In December 2018, Purradise – Berkshire Humane Society’s satellite facility in Great Barrington – began to offer feline boarding. Housed inside a quaint and comfortable converted home, the facility provides relaxing accommodations for feline friends under the supervision of dedicated and skilled shelter staff. (A few adoptable cats can still be found there too!) Erin Starsja, BHS Feline Manager, offers answers to a few frequently asked questions regarding first-time boarding. You can find all the details and book your stay here. Reach Purradise at (413) 717-4244. Why does BHS want to offer feline boarding? We have seen a need in our community. Over the last few years, we have received phone calls either asking us if we offer boarding for cats or if we can recommend a trusted place that does. As funds grow tighter for all non-profits, the shelter began searching for ways to help generate income and allow us to continue to serve both cats and people. Offering feline boarding will allow us to do that. A lot of cats have never been boarded. When is boarding an appropriate option for a cat? 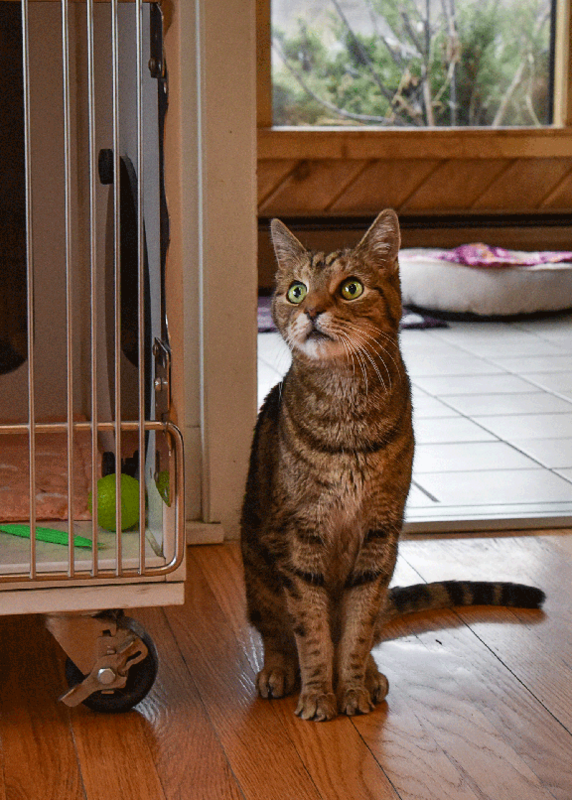 Boarding can be a great option for some cats, benefiting both them and their owners. Social cats who yearn for a lot of attention will be in a place where people are with them all day. Picky eaters will have the benefit of caretakers there to encourage eating throughout the day. Cats who have special needs or require medication will receive loving, compassionate care from trained and experienced people. These are just some of the benefits cats can experience when boarded at Purradise. What should pet owners know about the first-time boarding their cat? Boarding can be a great option for some cats, benefiting both them and their owners. Social cats who yearn for a lot of attention will be in a place where people are with them all day. Picky eaters will have the benefit of observant caretakers, encouraging them to eat throughout the day. Cats who have special needs or require medication will receive loving, compassionate care from trained and experienced people. These are just some of the benefits cats can experience while boarded at Purradise. What if you have multiple cats? Family discount! We offer reduced rates for families of more than one. We understand the importance of the bond between your cats. By keeping them together, both in their condo and during playtime, we continue to foster that relationship while they vacation with us. When you board your cat at Purradise, what services are included? We try to provide all the comforts of home. Cozy beds and blankets, fun toys and scratchers, laps to lay in, windows to look out, music to listen to, and more. Of course we always encourage you to bring your friend’s favorite items of comfort. You can bring their favorite bed, toys, or anything else that they love. We do ask you to bring their food. This is because we believe keeping their diet steady is a great benefit to them. Purradise is a special facility. Tell us about the Sunroom. The Sunroom runs the length of the building and is surrounded on three sides by windows that wrap up to the top. There is a low ledge that chases the windows around the room, perfect for perching and watching the world go by, including the two bird feeders the cats can see. The bright room is furnished with towers, climbers, scratch posts, beds, toys, a water fountain, and more. It’s a great space for cats to hang out in. All boarders will have access to the Sunroom three times per day. Shelter staff are extremely knowledgeable about animals and their care. Specifically, how is this a benefit to cat owners? Our years of experience in animal care equip us to tend to your pet’s needs, physically, emotionally and medically. We are trained in monitoring health, feline behavior and administering medications. This can be a huge help to those cats who have special needs. Will you send updates to owners during their cat’s stay? We are more than happy to update you on your furry friend’s stay. We can email updates at your request, and we will often send pictures along as well! What else do you want people to know about this service? Berkshire Humane Society is very excited to offer this service. We know how important your furry family member is and we have the expertise to ensure their care while you are away. Additionally, all proceeds from our boarding facility will benefit Purradise and the Berkshire Humane Society so that we can continue to help the homeless animals in our community.